Going to a cook-out as a vegan or vegetarian can be isolating, but it doesn’t have to be. There are plenty of vegan burgers that are not only healthier than the meat variety, but also easier to make and more interesting to eat. If you have a food processor or a blender, these vegan sweet potato burgers are as easy as pressing a button and forming a patty. If that’s not enough of a reason to mix them up, they also support eye health and the immune system. The recipe calls for 21 seasoning salute, which is a mixture of 21 spices and herbs that is carried at Trader Joe’s. If you don’t have 21 seasoning salute on hand, you can substitute a mixture of your favorite dried herbs—such as onion powder, garlic, black pepper, thyme, basil and parsley—in the same amount. 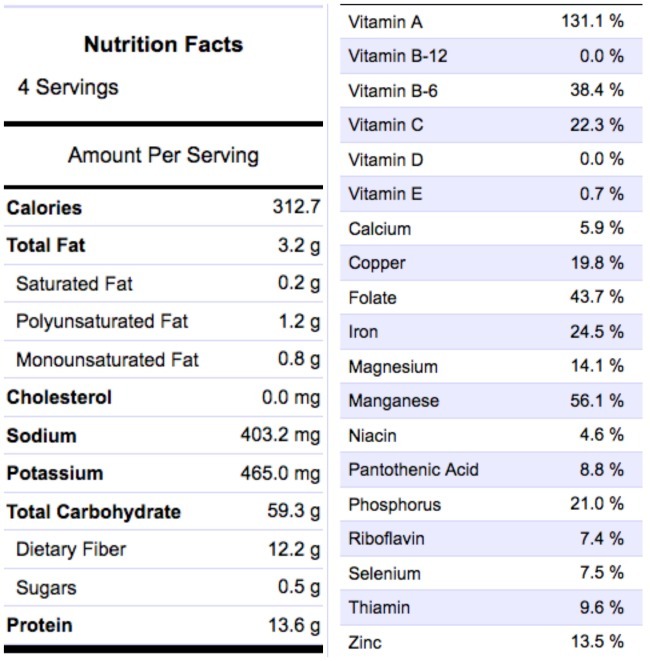 Scroll down for the video and nutritional information. Process all ingredients together and process until it has a ground meat-like texture. Cook on greased pan for about 7 minutes on both sides. Serve on bun or a bed of lettuce.